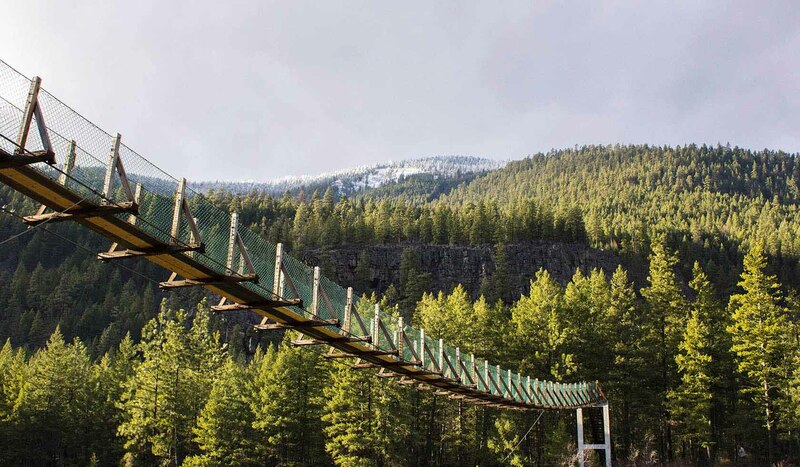 Built by the Forest Service to access forest fires across the Kootenai River, this foot bridge was destroyed by a major flood in 1948. The bridge was rebuilt on concrete piers and is now protected from flooding by Libby Dam. 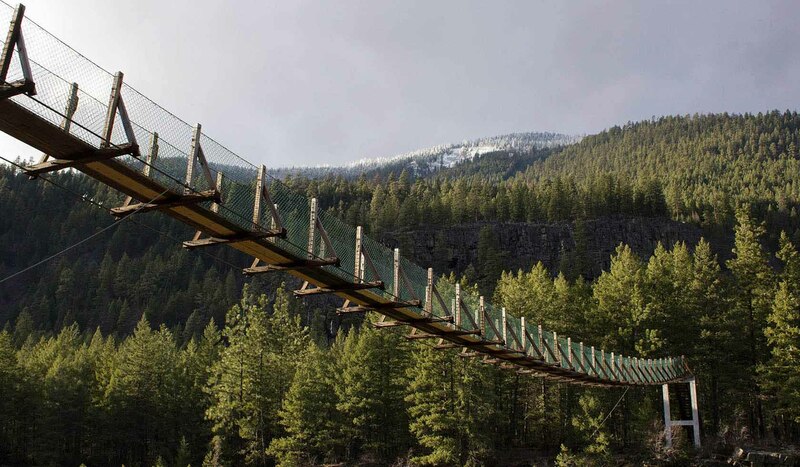 Used for administrative purposes, it also offers a breathtaking view of the Kootenai River gorge directly below Kootenai Falls. It is at an elevation of 2,100 feet. From Troy, travel east 6 miles on US Highway 2.